Fossil handbags are well known in the fashion industry for being stylish and innovative. The brand's collections include splashes of color, quirky features, and rich leathers to match your personality. While Fossil's full price points range from $75 to $200+, you can find discounted bags in a number of places. Fossil often offers up to 40 percent off their handbag styles via the "Sale" section on their website. These are usually products from past seasons that the brand are trying to clear, so the prices are significantly slashed. The selection in the sale section changes frequently, so check back often for hobo bags, shoulder bags, wallets, totes and more in a variety of colors. Fossil has a range of outlet stores located throughout the US, but you can buy from their online outlet through the designated website section. There, you can expect to receive up to 60 percent off full price products. To find a physical outlet store near you, merely visit the company's Store Locator and check the box that says "Fossil Outlet Store." They are usually a part of an outlet mall and sit alongside outlets by other popular brands. Some major retailers have discount divisions where you can find purses and accessories, including those from Fossil, at a reduced price. Major department store Nordstrom has an off-price retail division called Nordstrom Rack "where style meets savings." As well as having several retail stores, you can shop via their website for Fossil bags at up to 70 percent off their recommended retail prices (RRPs). You can also take advantage of their free shipping if you spend over $100. Typical discounts are in the 50 percent off range. Similarly, online clothing store Zappos has a discounted retail division called 6pm.com. 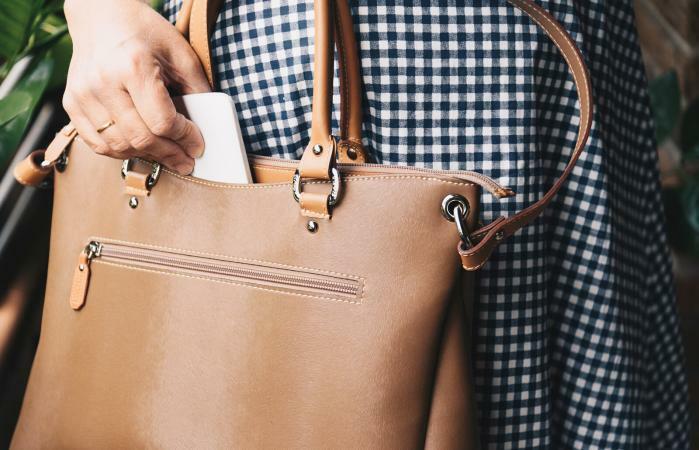 "Serving customers some of the best deals and discounted fashion online since 2007," 6pm.com makes it easy for you to search for Fossil bags on their site and discover styles that are up to 60 percent off. If you sign up to Fossil's official newsletter, you will be sent offers, coupons and deals that you can use for a limited time only across their collection of bags. In fact, purely for signing up, you will receive a 25 percent off code instantly to use toward your shiny, new purse. Certain fashion search engines, like ShopStyle, collate some of the best brand deals online and list them via their site for your convenience. It's not out of the ordinary to find several discount Fossil bags at up to 70 percent off their RRPs. All you have to do is search by brand name and product category. The highest amount of discounts can often be found when you opt for pre-owned Fossil bags. Simply scout around sites like eBay, Amazon and Etsy for the best deals. Sometimes, you will find products that have barely been used for a fraction of their retail price. eBay has a wide selection of Fossil purses, clutches and totes from past and more recent seasons. With some of them going for as low as $20, this site is well worth checking out. Amazon dispatches a number of Fossil bags. Some of them only have a small discount, like 10 percent off, but others can have up to 60 percent off their retail price. Etsy carries authentic Fossil bags too. Most of them are considered vintage, but there are some contemporary styles available too. They start at approximately $20, which is extremely reasonable for a Fossil branded item. Fossil handbags are undeniably beautiful and creative for a multitude of styles and occasions. If their full price points are rather steep for your budget, discounted sale goods are easy to find once you know how. Simply try out the different options available to find the perfect Fossil purse for you.